Whenever we talk about the art and painting what we picturized is only brushes with papers. There is a hidden artist in every one of us who like to draw and paint things. The painting is also a stress buster activity and its kind of relieving to convert your imagination into reality. But, in today’s lifestyle, it is not quite possible for everyone to take a brush and draw. However, the problem is solved by the ArtFlow app and all you need is just a smartphone or any other smart device. The app acts a real painting platform for the art lovers to draw their imagination. ArtFlow will provide you all the essentials within your device to paint the picture stuck in your head. The app converts the phone’s screen into a real painting canvas and offers brushes, colors and other equipment requires to paint. ArtFlow is the only app available, that offers various types of brushes along with different painting options. The app provides a smooth process to successfully paint anything on your phone’s screen. 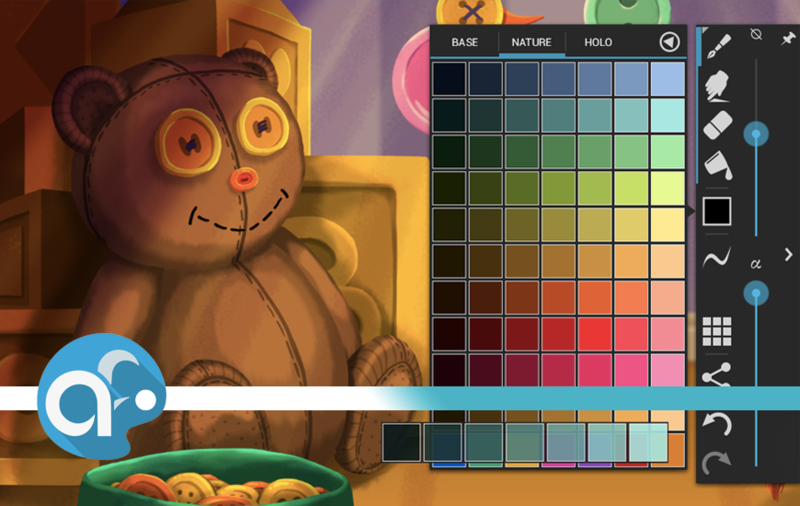 The app unlocks all the possible ways you can take into use to paint amazing things. ArtFlow also responds to the sensitive pens and allows the user to paint more precisely. If you are one of those who neglects their desire to paint just due to a shortage of time or resources then we have a solution for you. The ArtFlow app is the most effective way available right now to successfully paint anytime and anywhere. The app uses the latest technology and converts the smartphone and tabs into a painting tool. You will get all the required elements in order to paint what you have been keeping in your mind for so long. The app has number of addition features that give you the power to take care of your painting even at the elementary level. According to the app, it contains high processor painting engine to avoid any lagging or slow process. To make a professional painting you will have the collection of more than 80 brushes and other tools. You can select the preferable mask along with color adjustment feature and can do infinite undo & redo. To add a more realistic view to the painting, ArtFlow offers Material design inspired, fast, fluid, intuitive and accessible user interface. In order to give you a professional level painting options, the app also supports pressure sensitive pen. ArtFlow is also the pressure simulation for brushes along with the options to maintain brush flow, size fade, and dynamics. ArtFlow and all its basic painting features are absolutely free for the users. However, the additional features require pro-license in-app purchase, and buying the license will activate all your devices associated with your Google account.